In the final week before the departure for Kathmandu, Martin and Terry were delighted to be able to confirm the addition of Sam Baynes to the AGS team. Additional sponsorship secured by the AGS has enabled Sam, who has been undertaking training with the AGS team in the hope of being able to join them for the Base Camp trek, to fly to Kathmandu with Martin and Terry, and she will be hiking to Everest Base Camp (EBC). 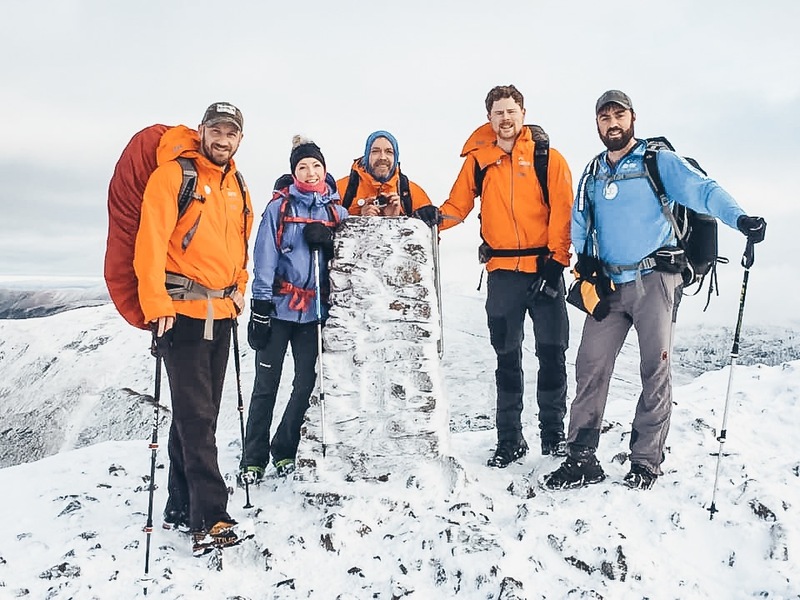 Whilst a very different challenge to the one which Martin and Terry (the summit team) have ahead of them, the hike to EBC for Sam is a massive challenge and provides her own ‘ Everest’. Sam moved to Austria to work as a physiotherapist, specialising in snow sports injuries, but on New Year’s Eve 2015 had a sledging accident, leaving her 50m off a mountain side and sustaining severe and life changing injuries. Sam endured a traumatic brain injury (TBI), broken skull and neck, and lower back and brachial plexus nerve damage which resulted in a 7% chance of recovering from the coma she was in. Since then, Sam’s determination has lead to undergoing life changing therapy and continuous rehab and training. Her passion is now taking on mountains - something which she barely survived. After summiting her first mountain - Gran Paradiso (4061m) in Italy 22 months after injury - she has now completed the national three peaks in the UK (Ben Nevis 1345m Scotland, Scafell Pike 978m England, Snowdon 1085m Wales in 23 hours) and Killimanjaro (5895m) Africa. Sam feels strongly about encouraging others who have experienced significant trauma, highlighting that there is always an adaption that can be made to overcome the challenge, as well as the social stigma that has been unfairly given to disability.